In international business, the name Israel rings of high-tech and startups. It is known as the country with the highest amount of Nobel laureates per capita worldwide. But aside from this, Jewish life and the situation in the Middle East constantly gives us food for thought: German history, the conflict between Israel and Palestine and the (not always) peaceful coexistence of various religious communities in the city of Jerusalem. For business partners, this background and the country’s strong relationship orientation requires an approach modelled on strategic empathy. Expats need sensitivity towards the topic Holocaust/Shoah and to the rules of kosher food. Also, they need answers to practical questions about live in Israel and security. Omnipresent security checks, the absence of public transportation during the Shabbat, Jewish traditions and holidays – all this requires intercultural competence combined with expert knowledge in order to avoid mistakes. Book your intercultural training Israel today and let Lilit help you to experience Israel on its most relaxed. 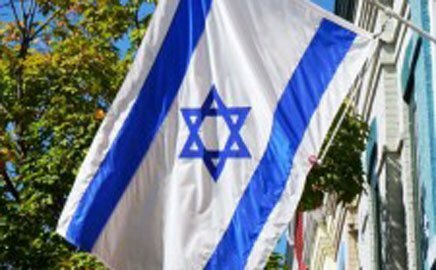 Then check out Marietta’s article about 5 important tips for every Expat going to Isreal.